China will receive its first US oil shipments after the two countries declared trade war last year. The 500,000 barrels per day that the US sent to China in 20 shipments are expected to arrive in February, March and April. However, these shipments, which left ports in Texas in late December, are not indicative of US victory over the war. The shipment was only a portion of the bulk bound for China or points near it currently as a negotiating deadline due March on a new trade deal approaches. In mid- February, the US ships, The Manifa and The Jag Lakshya, are expected to arrive in China. It takes about a month and a half to finish a journey from Texas to Singapore, and another five days from Singapore to China. Manifa was partially loaded with 2 million barrels of crude at the Seaway Texas City, Texas, on Dec 31 last year. The vessel is expected to arrive in China around Feb 17 this year. 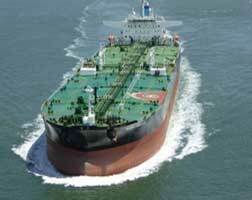 Meanwhile, the Jag Lakshya, was loaded with 1 million barrel at Energy Transfer’s Nederland, Texas. US officials said that other ships are on their way to China, namely The Almi Atlas, the Farhah and the C. Freedom. The Almi Atlas was loaded with 2 million barrels and is currently in the Indian Ocean. The Farhah was loaded with 2 million barrels and rounded South Africa passing Capetown. The C. Freedom was loaded with 2 million barrels at and was off the coast of Madagascar. In October and November, China stopped its oil imports from the US, as the trade dispute intensified; and resumed its purchase in December of but a small quantity of from the above 300 million barrels of total imports.